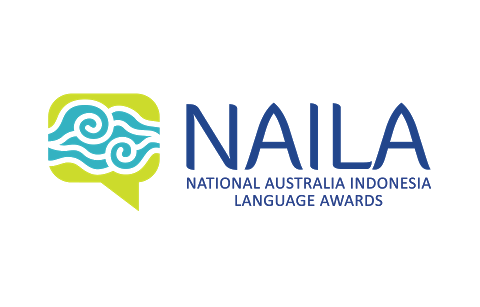 The National Australia Indonesia Language Awards (NAILA) is back in 2017! Download our 2017 Rules, Instructions, Topics and Marking Criteria here. Our annual speech competition rewards and fosters the development of Indonesian language learning in Australia at all levels. We invite primary school students through to executive level speakers to submit a video of themselves speaking in Indonesian. Submissions are assessed by a panel of VIP judges and participants have the chance to win $16,000 worth of prizes and celebrate their success in a national awards ceremony and networking evening. This year’s theme is ‘Origins’. Applicants are encouraged to speak about their family’s or friends’ origins, the origins of their interest in language learning, or origins of particular Australian or Indonesian folktales and history. Applicants should endeavour to use the phrase ‘Asal usul kita / saya’ meaning ‘our / my origin(s)’ at some point in their speech. Submissions are now open. Applications close on 1 August 2017. We are currently preparing our 2017 website with further information. In the meantime keep an eye out on our social media or sign up to the AIYA and NAILA mailing lists to ensure you don’t miss the launch of our new website and other important updates. If you have any questions feel free to contact us at enquiries@naila.org.au.